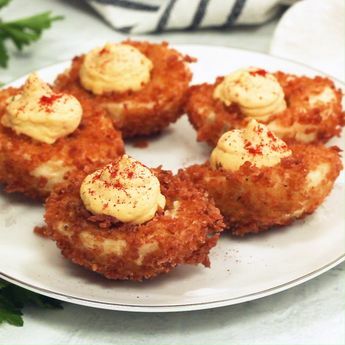 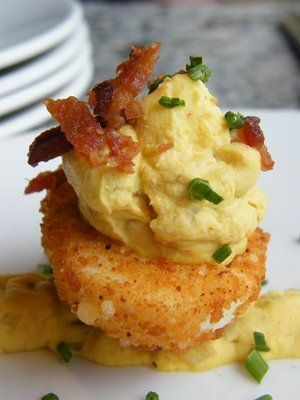 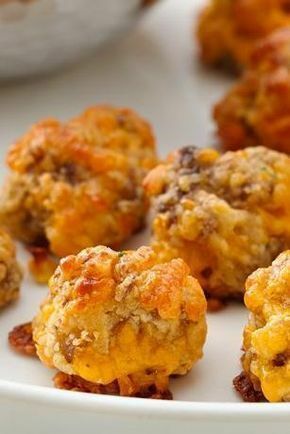 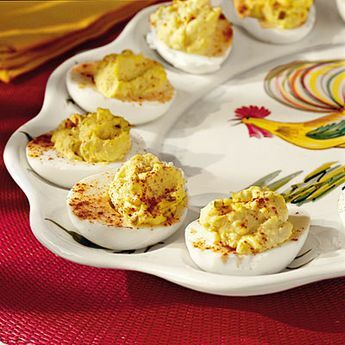 A mixture of panko breadcrumbs and Parmesan cheese creates a fried crispy coating for the whites of these deviled eggs. 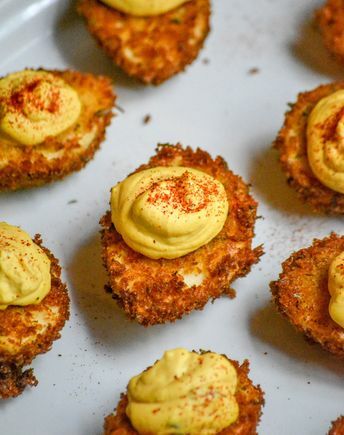 A mixture of panko breadcrumbs and Parmesan cheese creates a fried crispy coating for the whites of these deviled eggs. 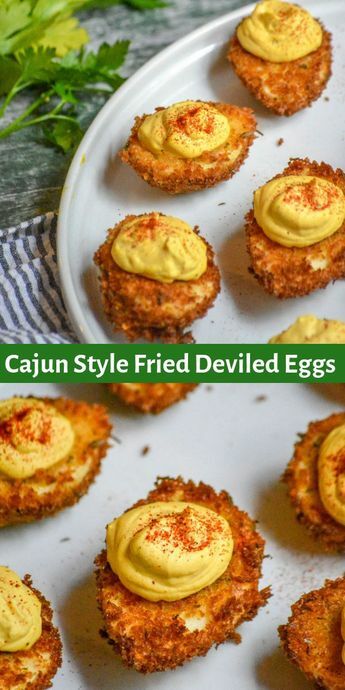 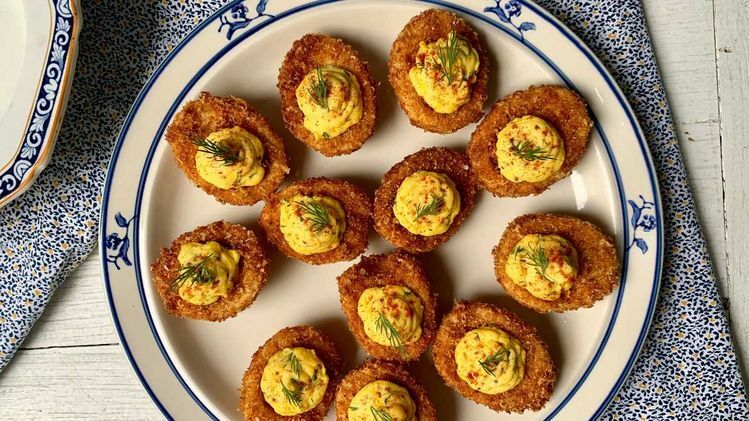 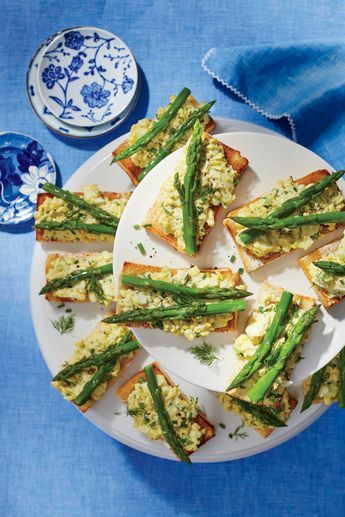 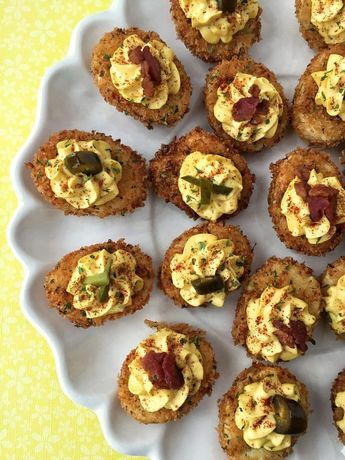 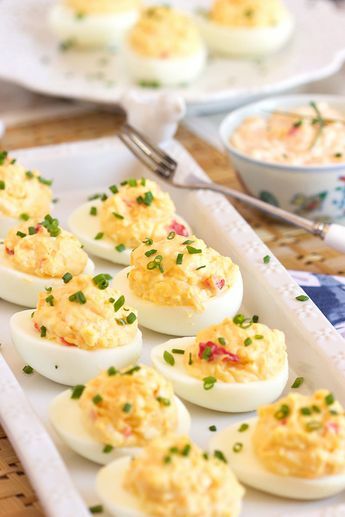 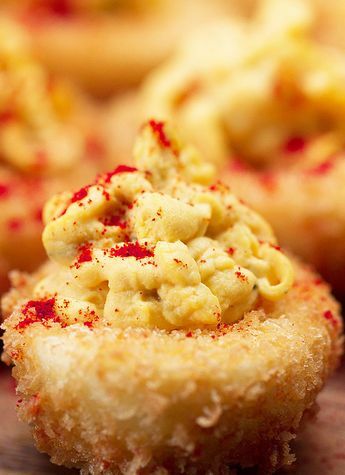 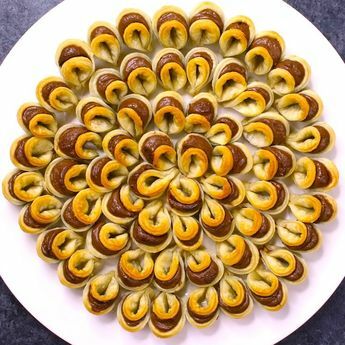 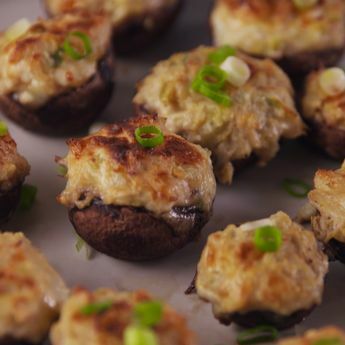 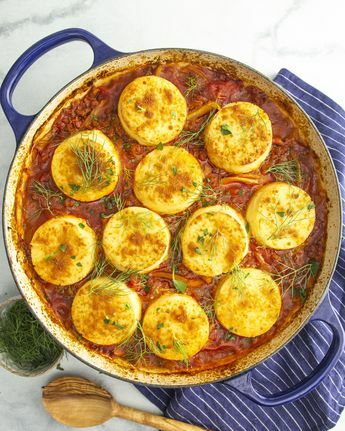 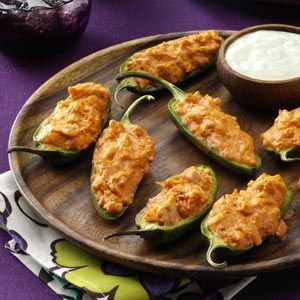 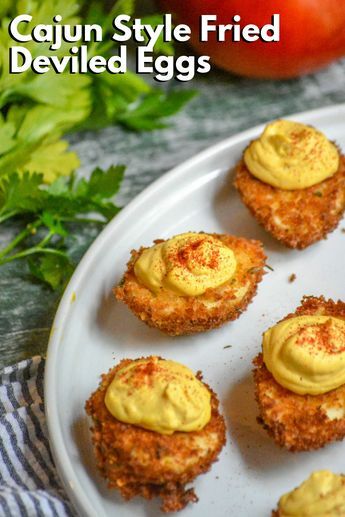 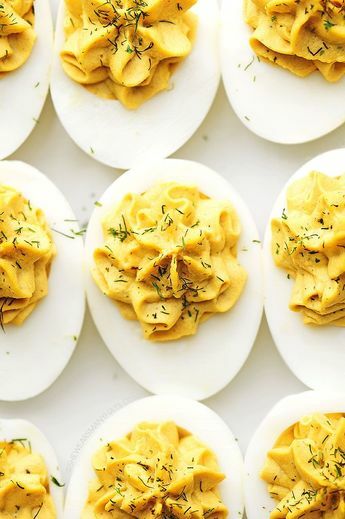 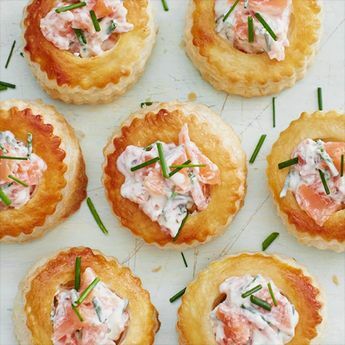 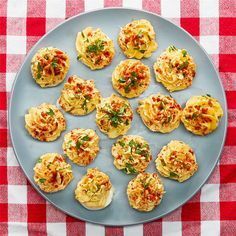 The first bite is crunchy while the familiar creaminess of the dill-spiked filling and the softness of the egg white make for an interesting take on this traditional Southern deviled egg hors d’oeuvre. 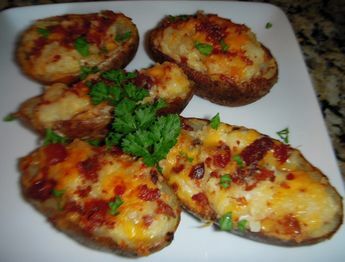 Loaded Potato Skins. 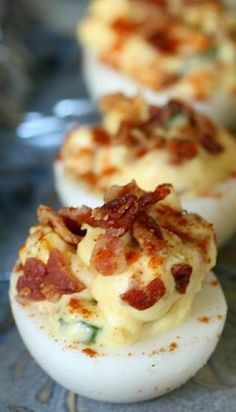 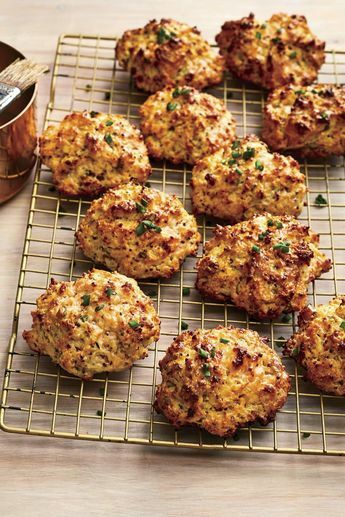 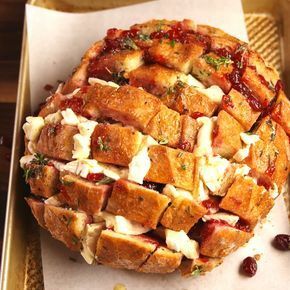 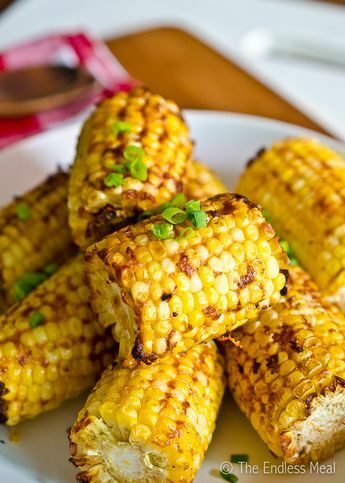 Making these tomorrow night for Pats poker game.